Now do I dare to watch the movie? 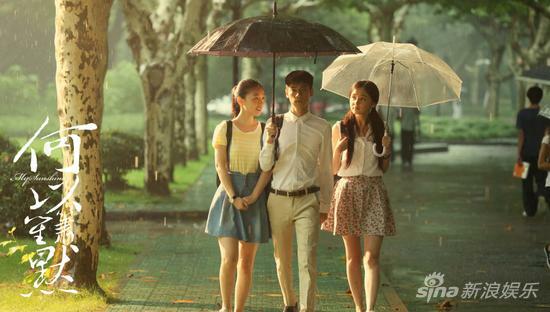 He Yi Chen and Zhao Mo Sheng were college sweethearts and completely in love at one point. It was Mo Sheng who pursued Yi Chen, but it was also she who left for the U.S. leaving Yi Chen alone in China. Seven years later, they meet again, but will they still find their way back to each other? Especially now there are more obstacles in their way. After getting over being totally apprehensive, I finally launched into this series fully hoping that it will make me fall in love and it did! While I certainly thought some parts, especially towards the end, got to be completely draggy, it is overall very pleasing to watch. The characters in it are adorable, but at the same time pretty real – if you can believe a man would wait for a woman for seven years without any contact. I don’t know how accurately it follows the book by Gu Man, but I did enjoy the story as depicted. Perhaps a little less focus on the non-existent love triangles would have done us all a favor, but I guess you need a couple of “villains” in every story. One of the main reasons this series stuck with me is Wallace Chung. Is it me or is this man just really good at being subtle yet totally awesome at the same time? I don’t know what it is, but there’s just a certain je ne sais pas about Wallace that makes me want to keep watching him walk here and there on my screen. Now that I’ve seen him as Yi Chen, I can’t imagine anybody else doing quite what he did with the character. He is also terrific in a suit. Plus, what is more heart melting than a serious man acting completely childish in front of the woman he loves? Tiffany Tang is also pretty good as Mo Sheng, but I think the crown really belongs to Wu Qian who brought to life the college innocence of the younger version. She was a breath of fresh air indeed. I think she could have easily ruined Mo Sheng and made the character completely annoying for all the times she pestered young Yi Chen. But no, she made Mo Sheng loveable and sweet and absolutely perfect. I think I should also applaud Luo Yun Xi for his awesome turn as young Yi Chen. The kid looks a bit like Wallace, no? I mean I think that’s a good sign, and his acting chops are living up to standards. In a few years he will be mature and ready for more serious roles on TV. The one downfall of this series, as I have mentioned before, is the ending. I think the series could have wrapped up at episode 29 or something – you know an extra episode to tidy things up after all the love triangles get resolved. I don’t think there was a need for two whole episodes on how Yi Mei found love and got married… I mean, can you get any more boring? Not that she doesn’t deserve happiness, but I could care less about the itty bity details. Anyway, I think they were trying to fill up the episodes since the production had promised to deliver 36 episodes to begin with. Word on the street is that TV stations had signed contracts for 36 episodes and left space for the series to be shown all the way through, but when the edited version came up short they had to put in fillers. Now imagine if the series was cut all the way down to 29 or 30, what in the world would it fill up with? Oh, and perhaps not so many product placements. Rio, anyone? Catch up to the series with episode recaps! Wallace Chung was recently in Amazing Race China with his sister, Jackie. He will also cameo in Monster Hunt. Tiffany Tang is currently in Lady & Liar with Hawick Lau and Legend of Fragrance with Yifeng Li. The two shows are actually completing against each other as they are shown during the same time slot. It’s a win-win for Tiffany though! Luo Yun Xi will be in a new series about diving called Hua Yang Tiao Shui Shao Nian (花样跳水少年), supposedly to air later this year. Wu Qian is in a new action/thriller series about book collecting (yes you read that right) called Bi Xue Shu Xiang Meng (碧血书香梦) with Lemon and Han Dong. Yang Le will greet us again in March with Cruel Romance alongside Joe Chen and Huang Xiao Ming. 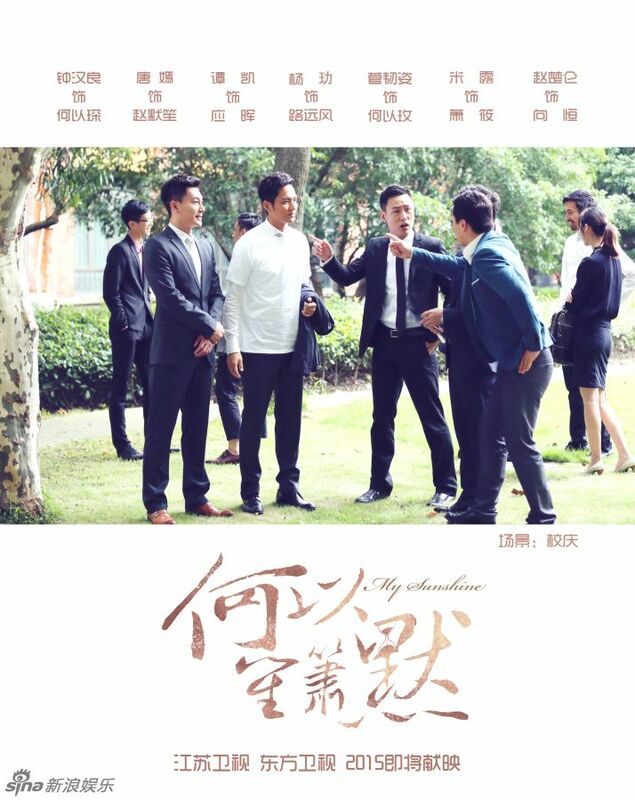 The series is apparently also produced by Huang. Hi, thanks for the entire series recap. The drama actually had a lot of parts that were not in the book. Xiaohong, Xiaoxiao and Yuanfeng were barely in the book at all and Yinghui wasn’t such a villain either, he was only involved towards the end and he was actually a pretty nice fella. In fact, the whole Yimei part was actually part of the novel as an ‘outtake’/epilogue. Yimei had a substantial role in the novel (and she was less annoying and more gracious as well) so that was prolly why she got 2 full episodes nearing the end. Yeah, I heard that they villainized Ying Hui and Yi Mei for the TV series to make it more “dramatic.” I wish they kept Yi Mei gracious though; I think that might’ve made the eps on her more important and less “why are we watching this?” lol. this drama did great.. i love it so much especially the young version cast scenes. tiffany tang looks adorable even with weird wood wig.. and perfectness is the best word to describe wallace chung.